Construction was really quite simple. 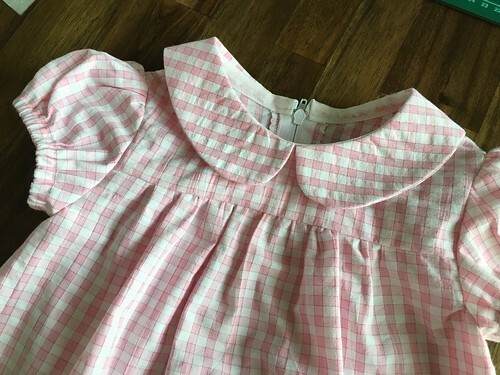 The yokes on the front and back are both gathered to match the skirt pieces, and then the sleeves are inserted into the finished dress. I made the smallest size with this one, which is labeled as a 1/2 size. 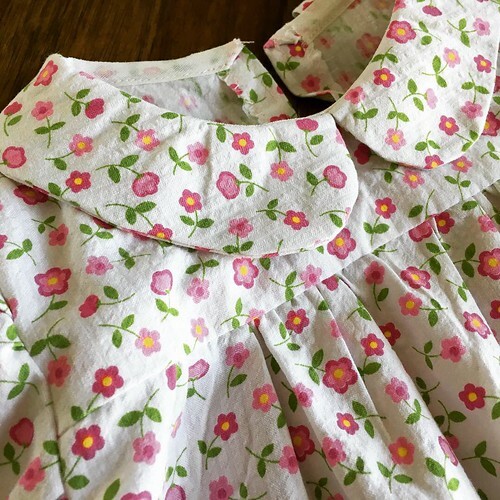 The pattern recommends a 12″ zipper for the back fastening along with a hook and eye. 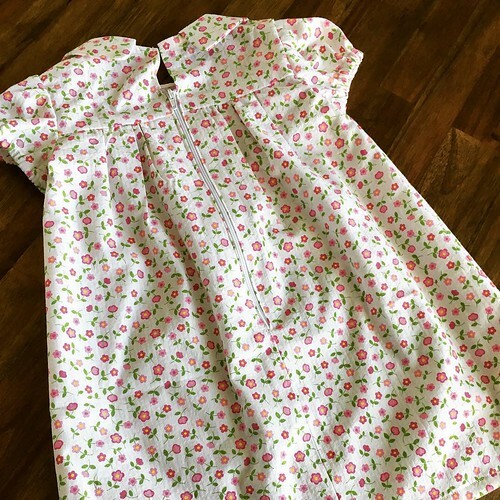 I had to make a 10″ zipper work so it doesn’t fasten right to the top of the dress but I think it will look fine once I add the hook and eye. 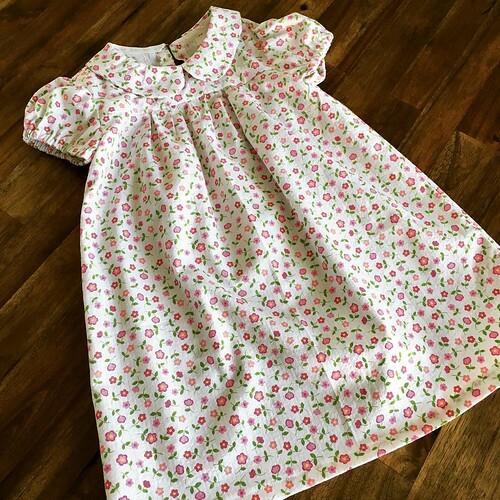 Even though I made the smallest size, the dress is far too long for Rosie at the moment so I’ll be saving it for the Spring when she can walk. I liked the pattern so much that I decided to quickly make another for one our friend’s first birthday. 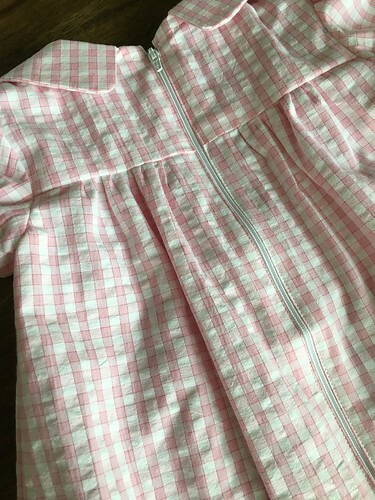 I made the same size but used a pink gingham this time round. 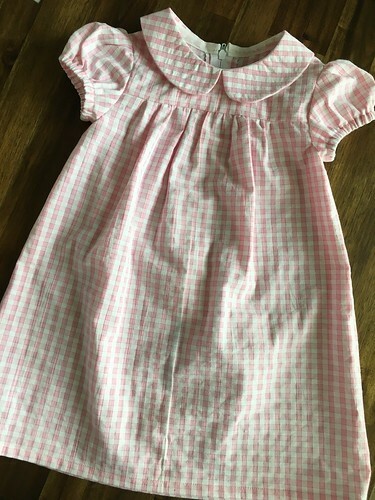 Again, this would look super cute with the white layering dress over the top of it! I used the correct the correct zipper size on this one. However, it didn’t leave me with enough room for a hook and eye so I left it off. I can definitely see this dress being a staple in Rosie’s wardrobe over the next few years! 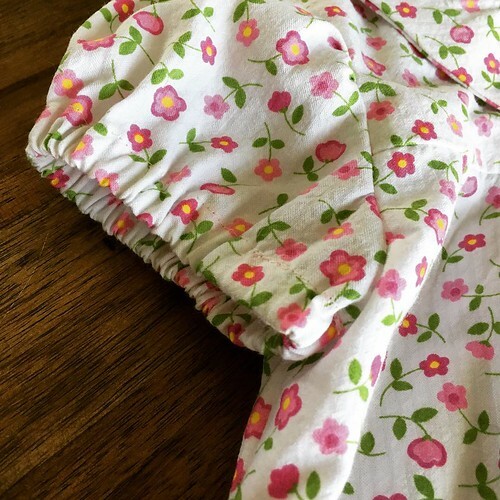 Fabric: Cotton. I bought a big fabric box on a Facebook selling site for $20…this was in it! They really are cute to make too!